The name Casablanca is so evocative – one of the most captivating films of all time. I suppose it was inevitable that the city would be disappointing. There’s nothing wrong with it. It’s a little bland, quite modern and very large –it’s Morocco’s biggest city. The only compelling sight is the Hassan II Mosque. It’s the largest in the country, the world’s seventh biggest mosque and it took five years to complete; it was finished in 1993. 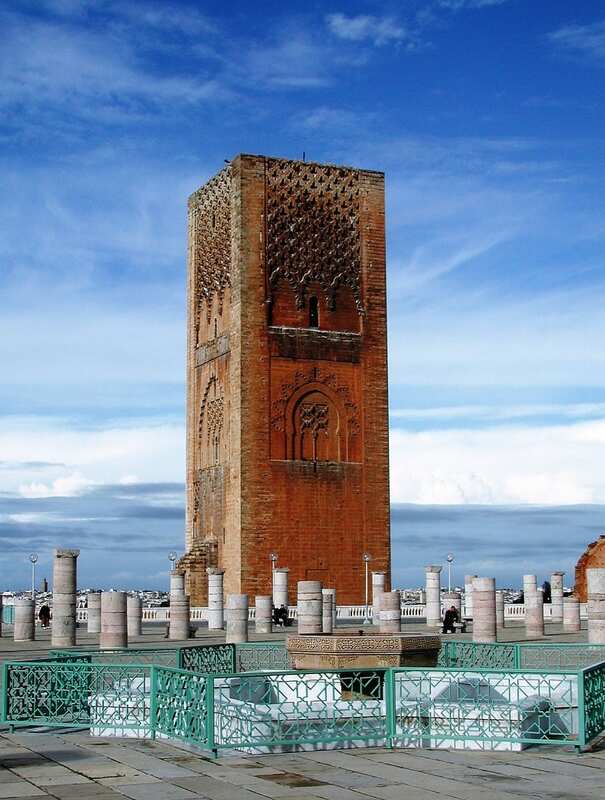 The mosque’s minaret, at 210 meters high, is currently the world’s tallest, but that won’t last long. 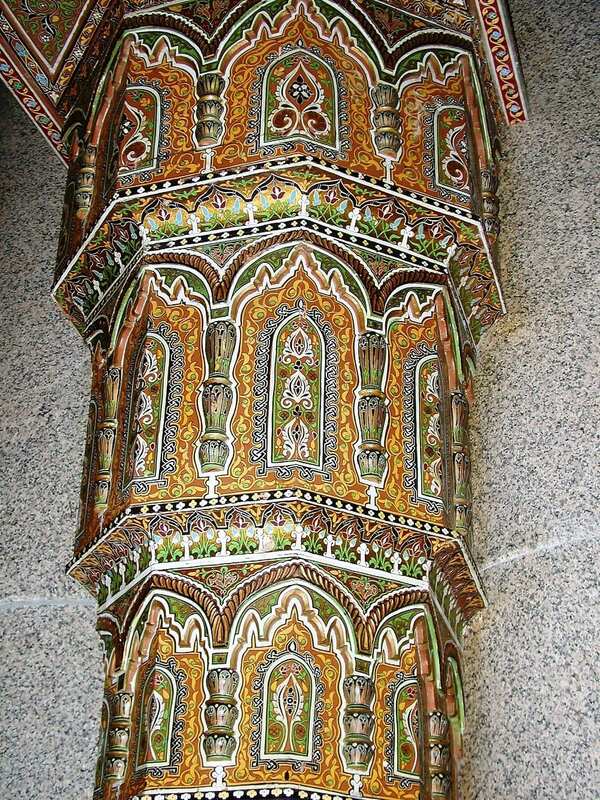 The Arabs are very competitive over their mosques and tall towers. There’s just time to play the tourist and indulge in a little henna hand painting before we move on. Up the coast, to the capital Rabat, for a time, the centre of the notorious Sallee Rovers, who were corsairs. Rabat became the capital by default in 1913, during French occupation, as there wasn’t a capital at all at that time. Rabat’s an old established city and there’s a much more appealing historic heart to explore on foot, the picturesque Kasbah des Oudaias fortress overlooking the water, the twelfth century Hassan Tower, the Mausoleum of Mohammed V (huge and white with a green tiled roof – the colour of Islam), and the Dar al-Makhzen, the king’s official residence, (they won’t even let you close enough to take a picture). The utterly charming blue and white painted houses are said to reflect an Andalusian influence- they look almost Greek to me. But I’m not saying that out loud. 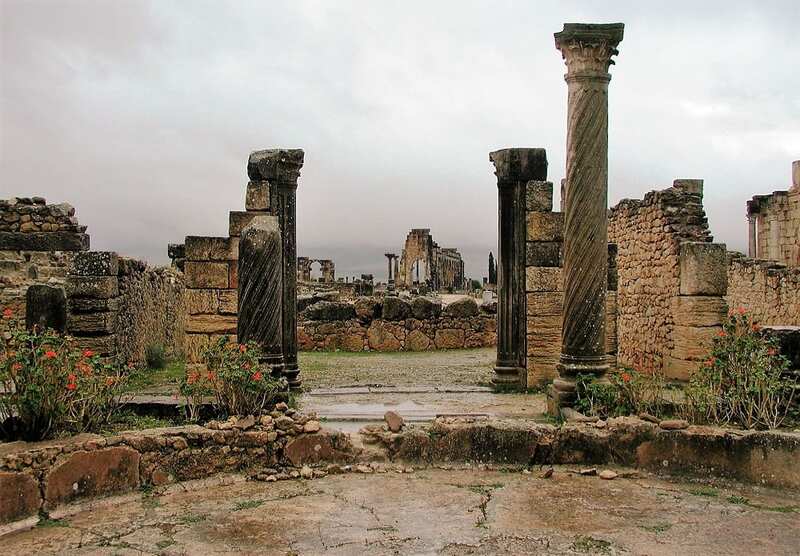 East, to Volubilis, a partly excavated Roman city, thought to be the ancient capital of Mauretania. We don’t linger. It’s raining hard; the storks are melancholy, peering down from their nests atop the remaining pillars, and the mosaics have become small ponds. Fez el-bali (Old Fez) is the world’s largest active medieval city and it is authentic and totally absorbing. As is common in these parts, the old city exists in close proximity to the new and is a fascinating labyrinth of mosques, cafes (lots of men drinking coffee and playing board games) and artisan districts. There are areas crammed with weavers, carpets (of course), brass workshops, coppersmiths and tanners. The tannery area is world renowned and ridiculously photogenic, from our lofty viewpoint. It’s like a huge white mancala board, though the depressions are filled with soaking leather rather than balls. The workers stand in the vats up to their waists as they wrestle with the steeping hides. Dyed skins of varying hues are draped up the edging walls. Although it’s aesthetically enthralling we can’t stay long. The stench is almost unbearable. And the souk calls. We’re told this is the finest craft work in Morocco and thus encouraged, I acquire a beautifully painted orange and blue coffee table. It’s wrapped in brown paper and sits at the back of our bus. Several of us have also bought djellabas, the one-piece unisex, hooded, coverall garments that are Moroccan national costume. 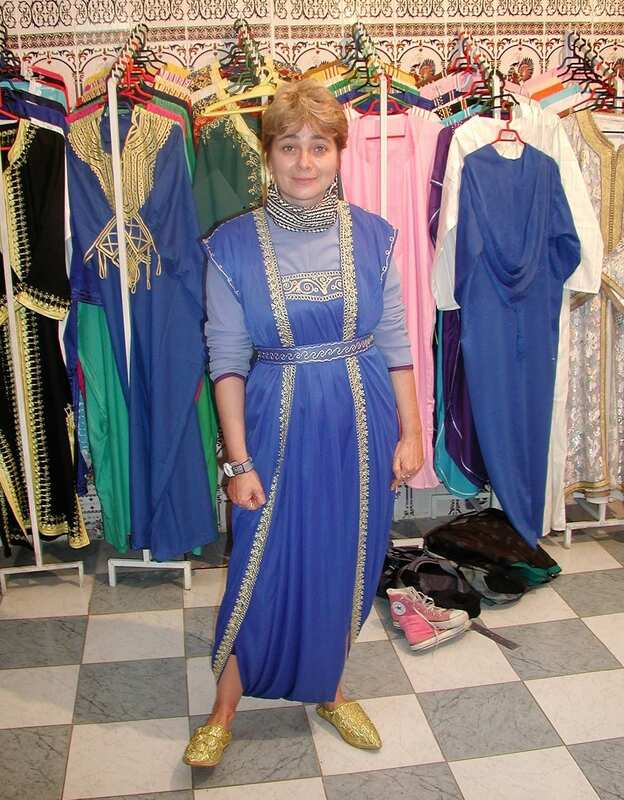 We’ve had a very touristy trying on ceremony in one of the shops, complete with sugary mint tea. 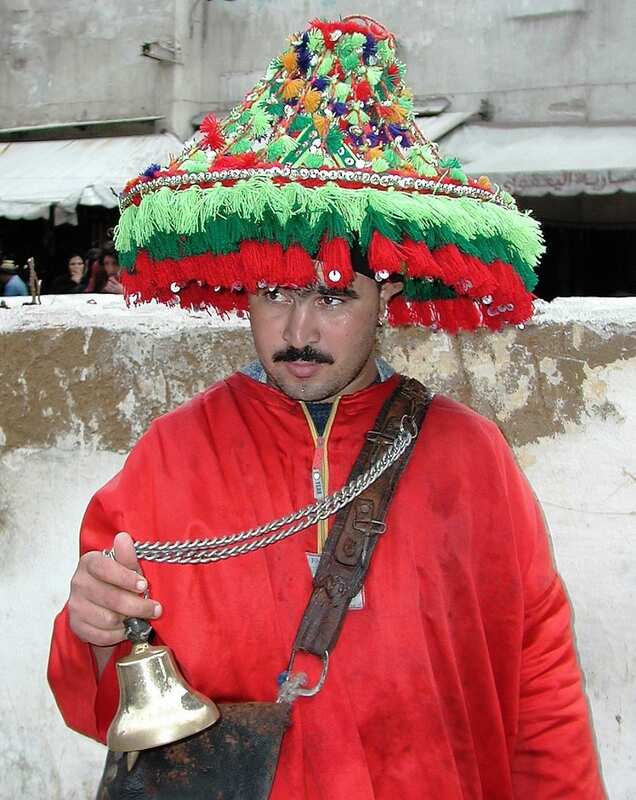 Dubbed Moroccan or ‘Berber whiskey’ tea has become the national drink of Morocco. It was introduced to Morocco in 1854 by blockaded British merchants. Seksou (couscous) is the national dish and we’ve already sample plenty of this, served up in traditional pot tajines with a rich meat and vegetable stew. 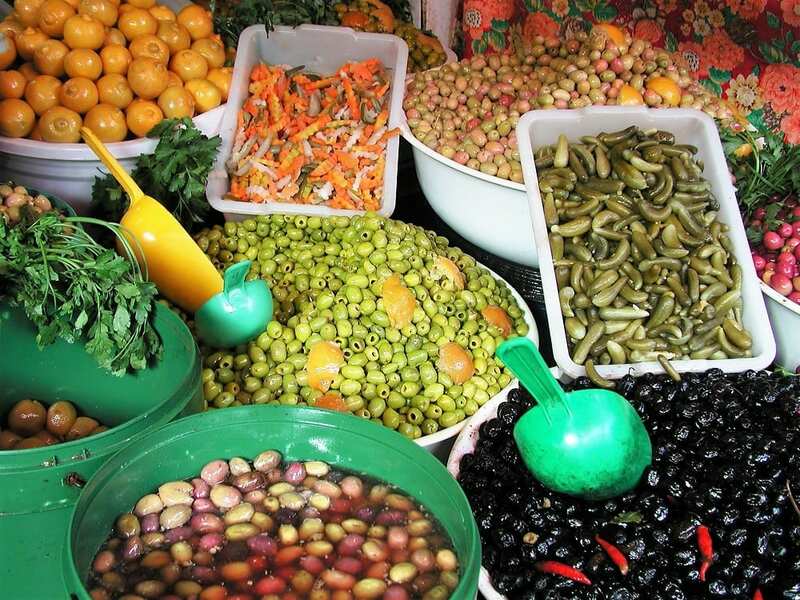 Olives and dried fruit (apricots, prunes, dates) are usually also involved. There’s a huge variety of dates on offer on the street stalls here here and the best are extraordinarily plump and delicious. 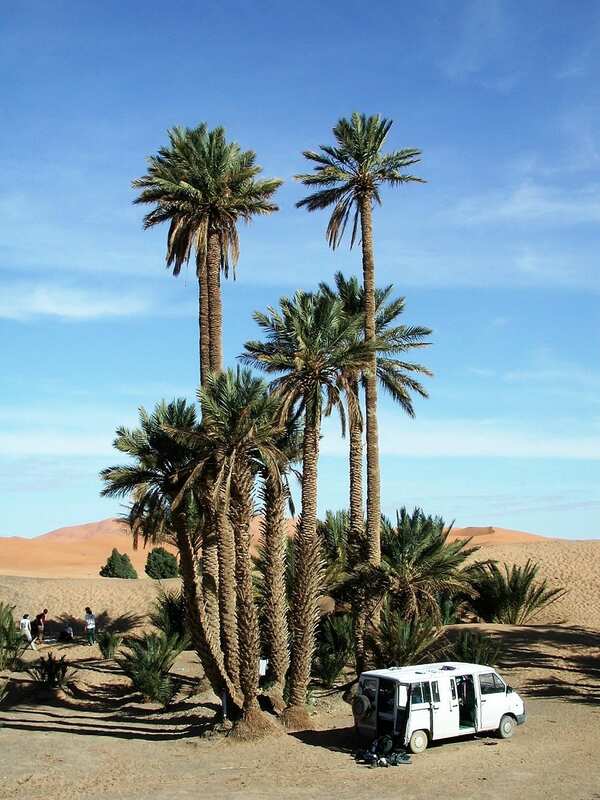 Turning south, we climb steadily into the dramatic Berber country landscapes and fortresses of the Middle Atlas and on to the desert settlements of Erfoud and Merzouga. 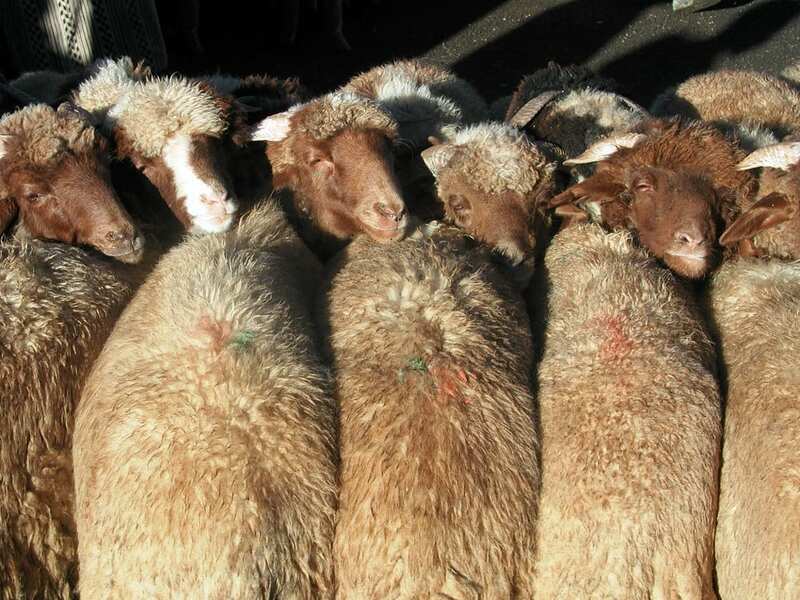 En route we take in a lively livestock market with sheep tethered head to head (who knew they would tessellate?) and sehirras (witches) dispensing curses and potions. Next, a carpet warehouse (more mint tea). There’s now a beautiful, brightly coloured rug rolled up, next to my table. Haggling involves parting with my watch. 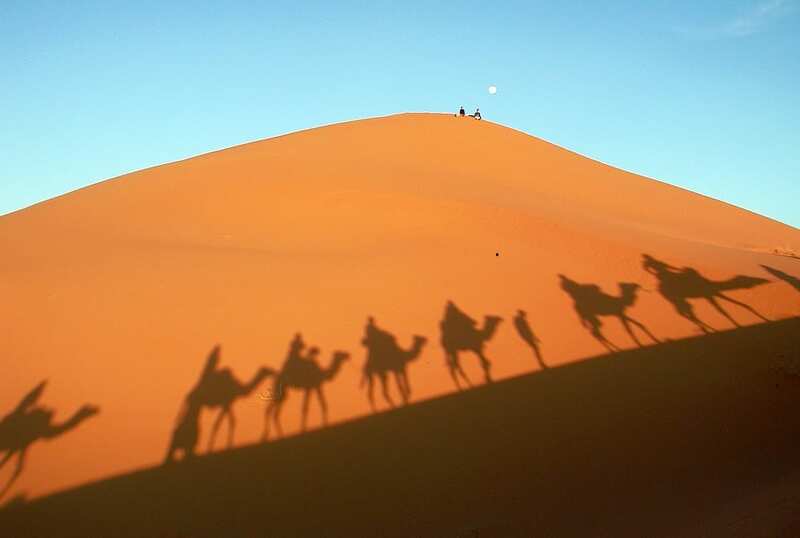 Merzouga lies on the edge of Erg Chebbi, an area of truly spectacular high golden dunes. There are various 4WD trips on offer, but the huge crescent shaped ridges are begging to be climbed. It’s an inelegant scramble- but they are truly stunning. 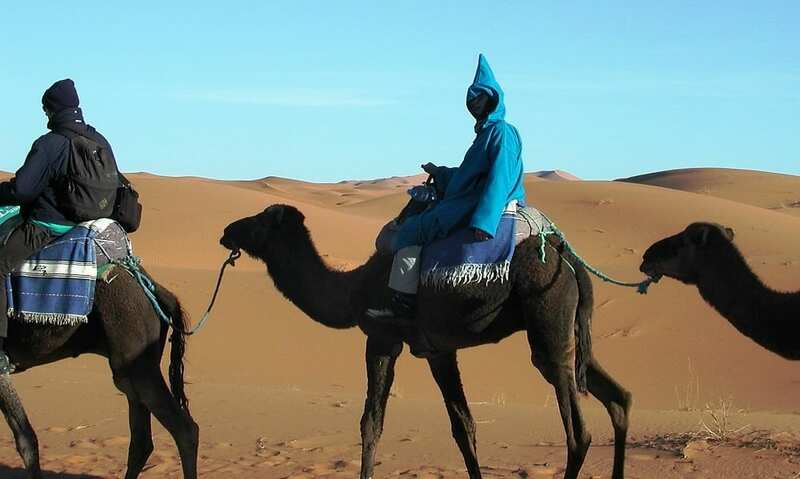 There’s an optional camel trek on offer, with camping in a traditional Berber-style tent. To my horror, everyone else in the group chooses to camp and it seems churlish to opt out. I’m glad I’ve chosen to go. The camel ride into the dunes is amazingly serene. The camel saddle isn’t too uncomfortable, or the camel too badly behaved. And it helps to truly appreciate the vastness and splendour of the desert. Though I can’t get the theme from Lawrence of Arabia out of my head. I haven’t quite got Lawrence’s white flowing garb on, but my djellaba makes a brilliant riding outfit. Unfortunately, the long pointed hood turns out to be more Star Wars than French Lieutenant’s Woman, but I’m sure it will make a great dressing gown when I get home. The camping is all that I feared. It seems that the tent is optional too. After singing round the camp fire everyone sleeps under the stars. It’s far too cold to be romantic. Skirting the southern slopes of the Atlas, and along a narrow pass through the towering yellow ochre walls of Todra Gorge surrounded by lush palmerie and olive groves. Then west, through rose growing country, and the Valley of a Thousand Kasbahs, a criss-cross of oasis towns to UNESCO classified Ait Benhaddou. It’s yet another breathtakingly photogenic site. 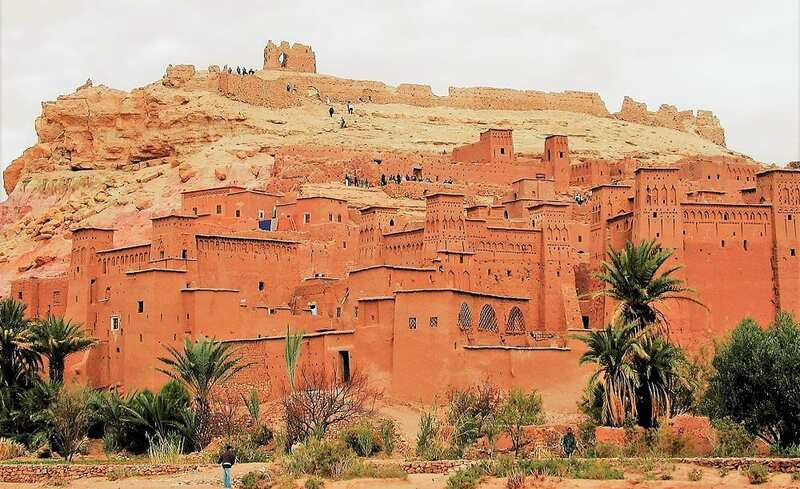 The mud-brick built town nestling into the hillside, is studded with arches and crenelated towers. This fact has not gone unnoticed by the movie industry. Scenes from Gladiator, Jesus of Nazareth and Lawrence of Arabia were all filmed here. 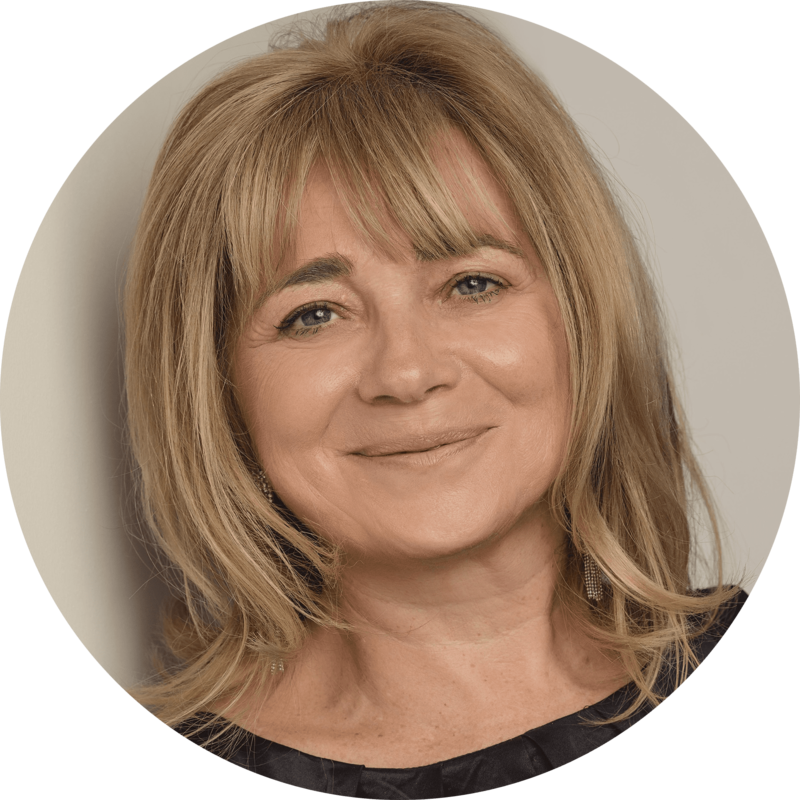 One of the small village houses – earth floors and chickens running round — has a room dedicated solely to a signed portrait of Russell Crowe in his Roman costume. Our westernmost stop, coastal Essaouira, features more charming blue and white houses. Perhaps because of the filming in the area Essaouira has been something of a celebrity hangout for some time. Orson Welles stayed here in the 1950s, Cat Stevens and Jimi Hendrix in the next decade and the inventor of the first pedestrian crossing light, Leslie Hore-Belisha, is buried in the Jewish cemetery. Maybe this is why the shops here in the old walled Medina are even more enticing. The local craftsmen have a deft and unique touch and it’s impossible to resist the delicate boxes and exquisite jewellery. 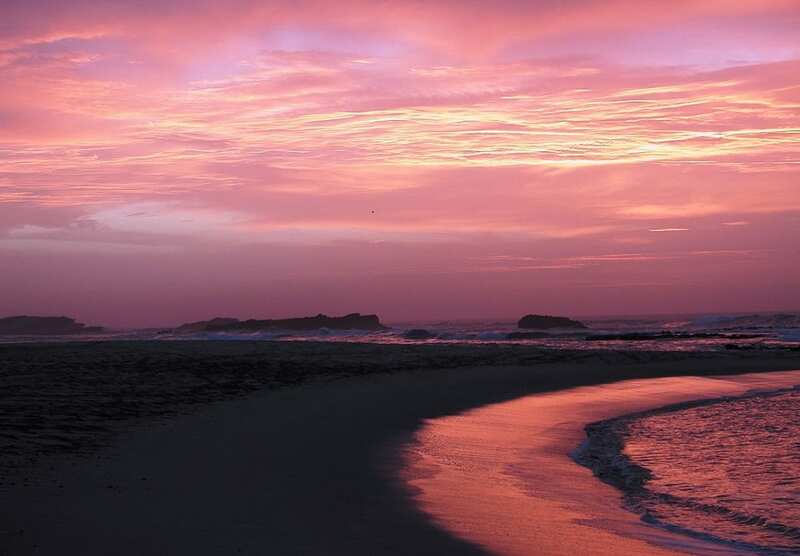 The beach is pretty and the sunsets gorgeous. 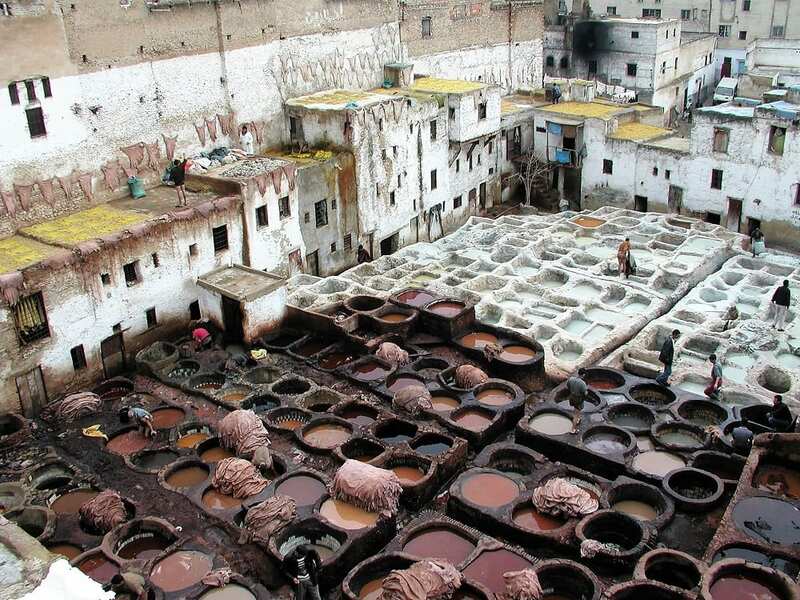 To be honest, Marrakesh (the red city) is something of an anti-climax after Fez and all the other stunning sights. It’s interesting, of course, but ultra-busy, with too many tourists and too much hassle. There’s plenty to do. The medina (old town) is huge-it’s easy to get lost – and the riyadhs are elegant and shady. When I’m not in and out of the souk I manage to cram in the Koutoubia mosque and tower, the Saadian tombs, the Ben Youssef medersa, the Dar Si Said Palace (now the Museum of Moroccan Art) the Menara gardens, the Majorelle Gardens (designed by Yves San Laurent) and a visit to a traditional Hammam. (They are quite vicious with the exfoliation- it’s like being attacked with a brillo pad.) 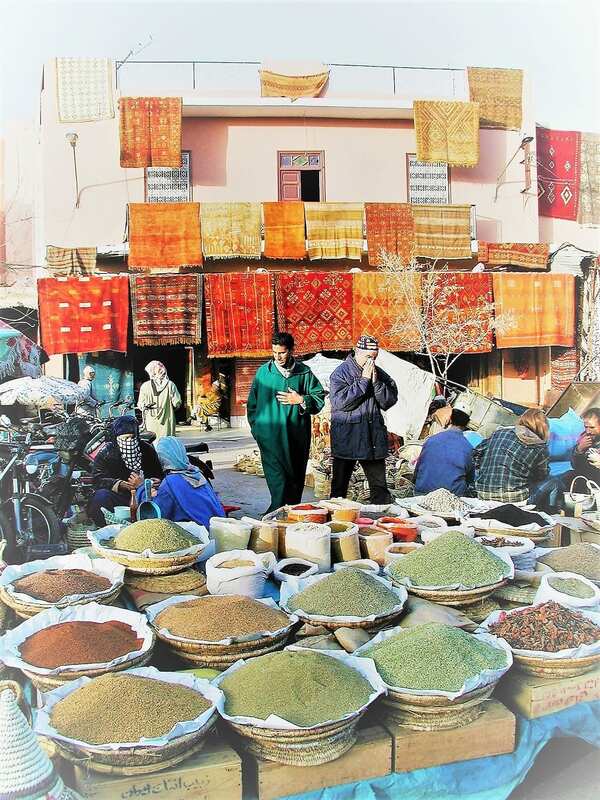 The best option, in Marrakesh I discover, is to find a roof top café and look down on the Djemma-el-Fna (huge main square), watching all the street food vendors, storytellers, musicians, jugglers, acrobats, snake charmers and clowns. It’s far more relaxing up top, and in any case, no-one will let you near their act in the square, particularly if you have a camera, unless you’re paying up front – especially the snake charmers. There’s just time for a final shopping flurry. A last purchase is a huge copper lamp. It’s been an expensive trip. And it’s a good job that Royal Air Maroc are so relaxed about carry-on luggage and baggage allowance. My newspaper covered lamp sits in the overhead bin and the rug sails happily into the hold, stuffed inside my table. Morocco’s current royal family, the Alaouites, dates from the 17th century. Mohamed VI has been King of Morocco since July 30, 1999. Morocco’s flag is red and green (traditional colours in Arab flags) with a pentacle that represents the five pillars of Islam. Morocco is one of the world’s largest producers of illicit cannabis. The word “reefer” derives from the word Rif, a northern area of the country. 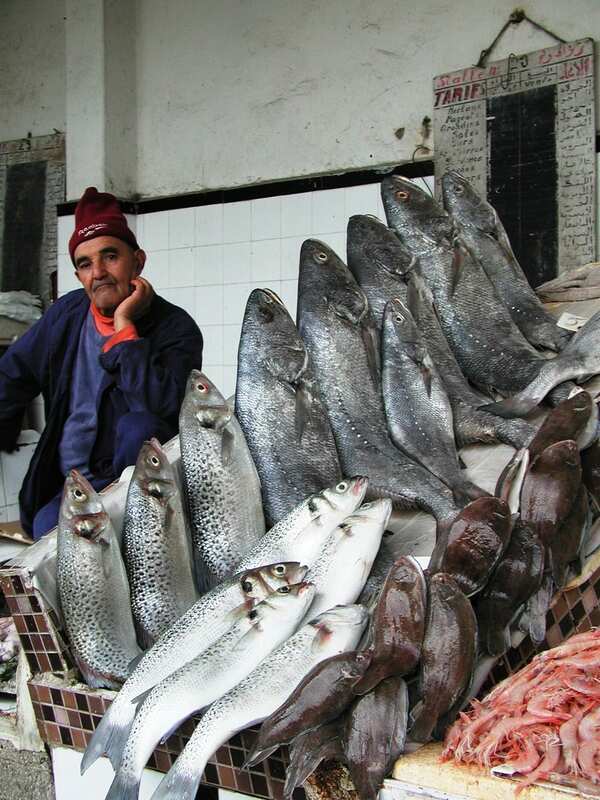 Traditionally, the liver, not the heart, is considered to be the symbol of love in Morocco. To see more of my photos of Morocco, visit this page.